Fancy learning to sew and make a garment in a day? In this one day workshop we’ll take you from sewing zero to pyjama-making hero! 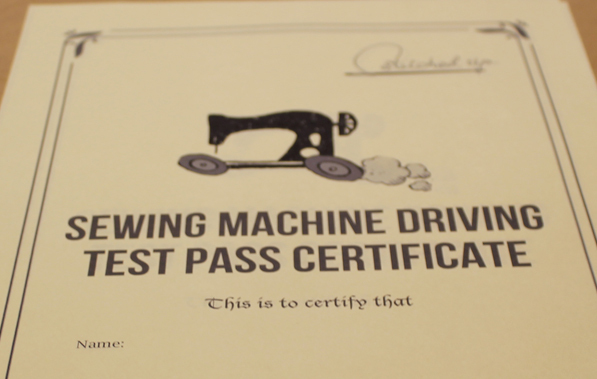 Morning: Pass Your Sewing Machine Driving Test! Our 2.5-hour crash course covers all the basics of using your sewing machine. You’ll finish the morning session with a certificate and appliqued ‘L’ plate. Afternoon: Pyjama Bottoms Workshop – Learn how to cut fabric from a pattern and put your newly mastered sewing skills to the test making a pair of pyjama bottoms in your chosen fabric. 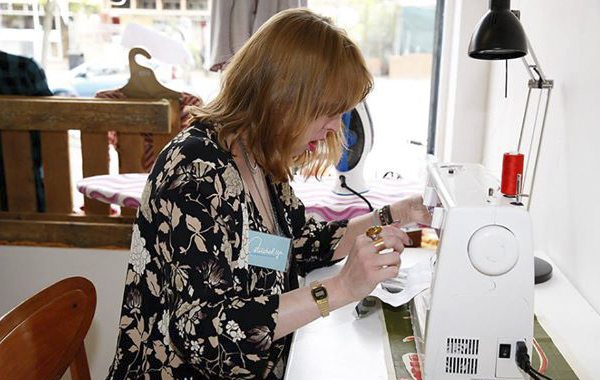 Skills: Threading a sewing machine, basic manoeuvres, learn how to hem, seams, reverse, forward, turn corners, finishing off your work, stitch settings and tension control, using patterns. Bring: We have a small selection of fabric to buy on the day, or if you’d prefer to bring your own you’ll need 2.5 – 3 metres of a non-stretch cotton type fabric. All other materials and equipment are provided.